Losing weight and then keeping it off for the long term is a battle that never ends. You can’t be overweight, lose the extra fat, and then go back to the same lifestyle and eating habits that made you overweight in the first place. You need new habits and you also need every advantage you can get to take the weight off and keep it off. Every little bit helps, as the saying goes. It could be an exercise technique, a certain food or even a nutrient that helps you burn more fat. So what’s that one food? Red pepper! Or, more specifically, capsinoids, the active ingredient in red peppers. Capsinoids (capsiate, or capsaicin) are thermogenic chemicals that show promise when it comes to increasing fat loss. One study, done at McMaster University in Canada, gave participants 10 milligrams of capsinoids thirty minutes before an exercise session and found it increased the metabolism and adrenaline levels, as well as fat burning at rest. However, no further effects during exercise were shown. 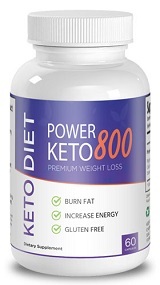 Capsinoids have also been found to boost thermogenesis, halt fat cell growth, ignite fat breakdown, and even reduce hunger (Nutrition and Metabolism, 7: 65, 2010). Another study done at the University of Maryland Medical School, in which men and women were given 6 mg of capsinoid supplements per day for twelve weeks, showed them losing more adominal fat than the group given a placebo (fake capsinoid supplements). This study (American Journal of Clinical Nutrition, 89: 45-50, 2009) concluded that capsinoids may be beneficial as part of an overall weight loss program. While capsinoid supplements show promise as a fat loss aid, it’s always important to remember, they are called supplements for a reason, despite what weight loss marketing tries to do with them. Let’s face it, telling you a supplement might burn 100 extra calories a day, which means an extra pound of fat loss takes thirty-five days, won’t sell a lot of products. By the way, that does mean an extra ten to eleven pounds a year, on top of what somone would lose without it. It really is significant but wouldn’t seem so if that’s how it was marketed. The point is, a proper nutrition and exercise program needs to be in place, and then supplements like capsinoids can help someone get even better results. Next Next post: How Heavy A Weight Should Your Kettlebell Be?